I didn't get to join in on the last Twofer's Challenge due to illness in our family. I was determined to play this month though. :) The theme for April is pets. I chose a NUBS stamp set by My Favorite Things. 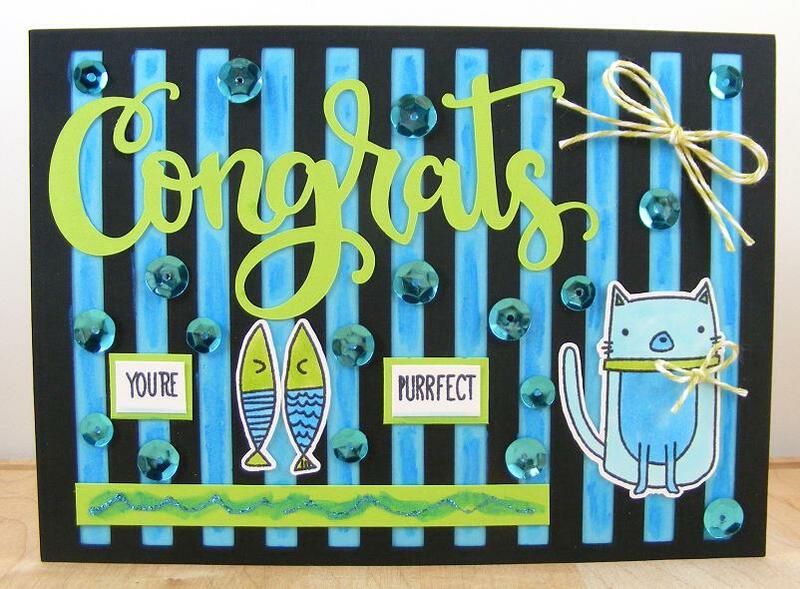 I used one of the cat images on both cards and two different themes of thank you and congrats. Above you can see both cards side by side (per the rules at the Twofer Challenge of photographing the cards together). What lovely, adorable, Purr-fect cards! Love the great design and colors-thanks for joining us at Die Cut Diva's! Two fantastic cards Bev! Love the mix of colours on both cards ... so bright and cheerful. Great designs. Thanks for playing along with us at Twofer Card Challenge! 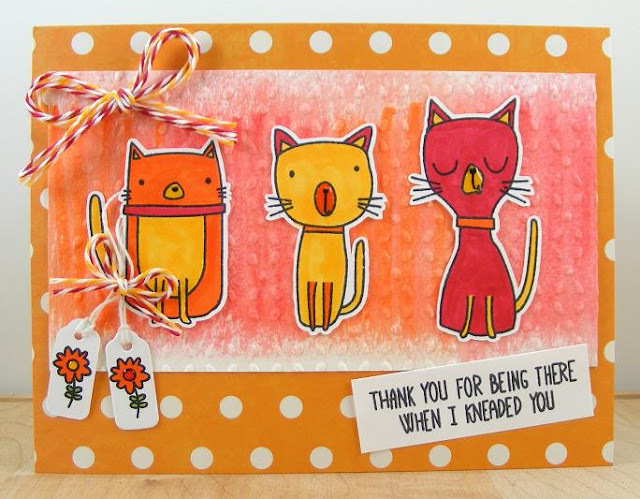 Your cat cards are so much fun with the bright color schemes and patterns! So many details on each one to admire! Fabulous! Thanks for joining us at Craftaholics R Us. What fun cards. They made me smile. SO glad you could join us at Die Cut Divas. Fabulous cards Beverly! The images are so cute and I love the backgrounds you've created. These cats are so much fun! Loving your cards. Thanks for participating with CraftyHazelnut’s Patterned Paper challenge!